Kenya is facing one of the most severe droughts in decades. Kenya’s president has declared this year’s drought, which has affected as much as half the country, a national disaster. My Chosen Vessels (MCV) returned from Kenya in March 2017 to assist the Maasai during this horrific drought. Currently, MCV has adopted 3 Maasai villages to provide sustainable clean water solutions. We have partnered with Engineers Without Borders (EWB); a like-minded partner focused on community-driven water projects. We recently conducted a successful assessment trip in March 2017 and our engineering teams are diligently planning permanent clean water solutions that will support 3,000 Maasai people. According to our calculations, 10% of the children under 5 years old in this areas are dying due to water borne diseases. With these statistics, we know we need to help them immediately. MCV is currently providing temporary relief to keep the community members alive and healthy, as we develop long-term solutions. We installed two 10,000 Liter water tanks and we are trucking clean water in to deliver life-saving relief. The cost to fill the water tanks is approximately $200 / week. We are seeking generous donors to assist MCV in keeping these tanks full with clean water for the next 6 months as we finalize our long-term water solution. 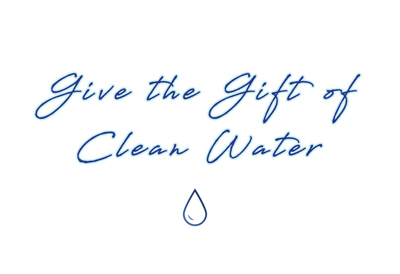 We are also raising funds to implement a long-term distribution system to provide clean water for generations. Help MCV raise $5,000 to provide life saving clean water to 3,000 people over the next 6 months.